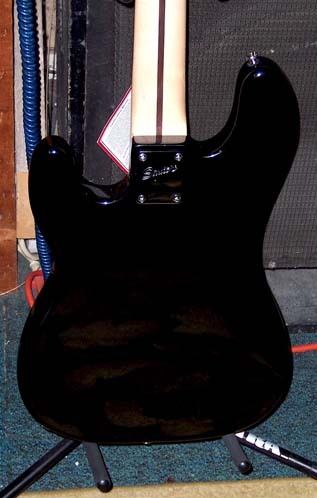 This beauty featured an agathis body with a maple Jazz Bass neck. 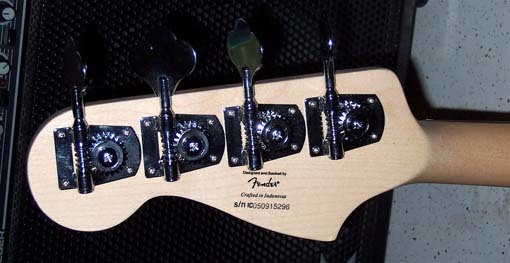 The rosewood fretboard had 20 medium-jumbo frets and a 9-1/2" radius for buttery-smooth playability. 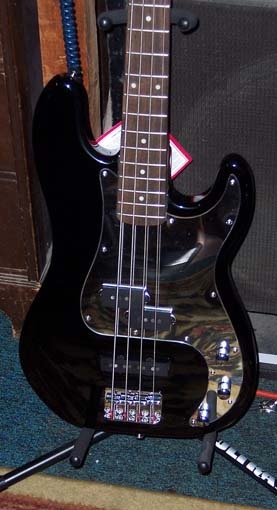 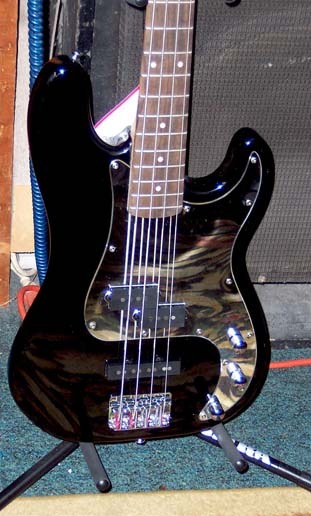 The black mirror finish was accentuated by the chrome hardware and pickguard. 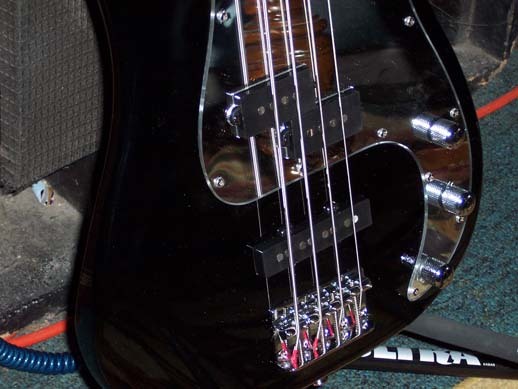 A split single-coil pickup in the center and a Jazz Bass pickup in the bridge gives loads of tonal versatility. 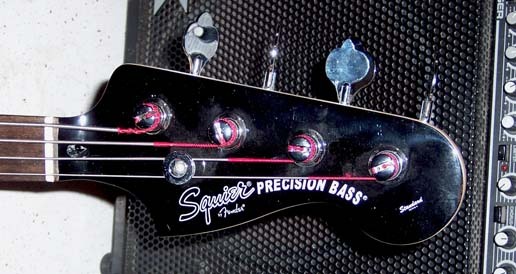 This had such a clear bright tone, and a big bottom end that sounds great with any type of music.